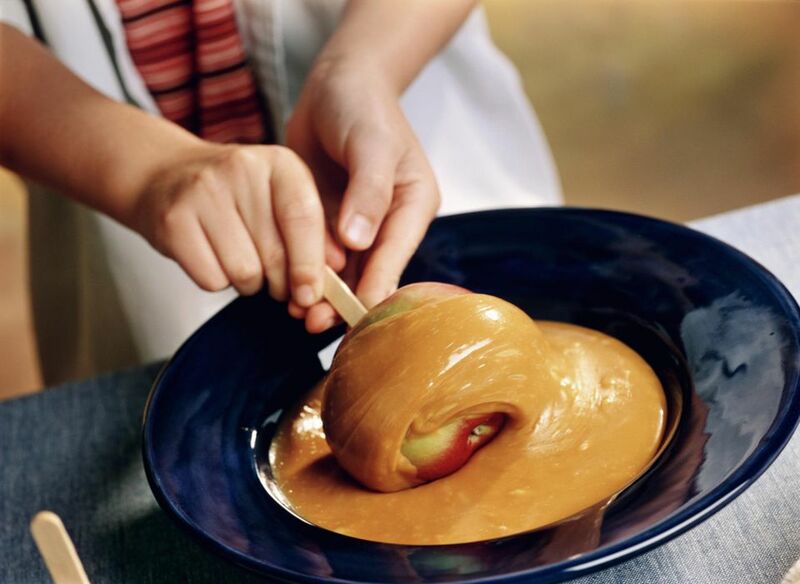 A perfect sweet treat for fall, this caramel dip is great for after-school snacks served with apples or pears. Fill a pan large enough to hold a small saucepan with ice water. Set aside. In a small saucepan over medium-high heat, bring the non-dairy milk alternative, sugar, maple syrup, soy margarine, vanilla and salt to a boil. Cook for about 10 minutes, or until medium amber in color. Place the saucepan in the prepared ice-water bath to stop the cooking. Transfer the caramel sauce to a heatproof container, and place in the refrigerator until cool. Serve cold with apples, pears, or dairy-free crackers.